Ikea brand marshmallow candy recalled due to possible mice infestation. 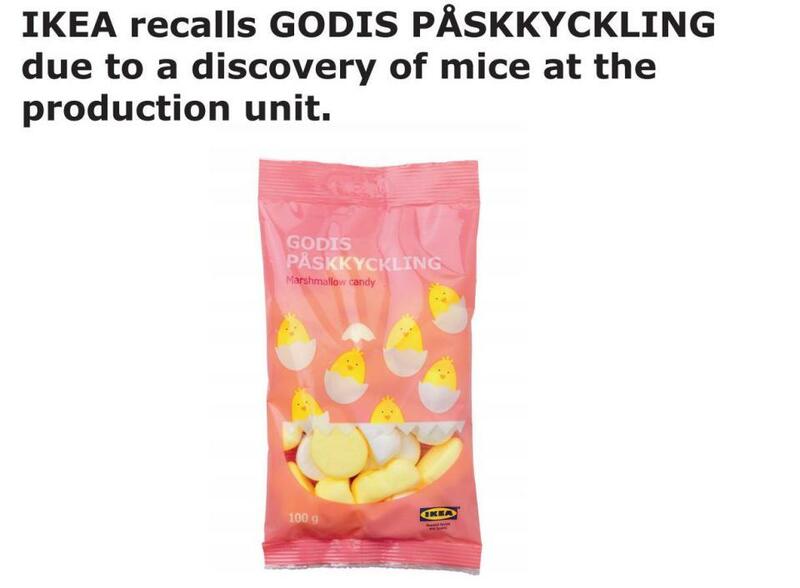 OTTAWA - Ikea brand Marshmallow candy is being recalled due to what the Canadian Food Inspection Agency says may be possible contamination from mice infestation. The CFIA says the product may contain harmful bacteria. The CFIA says there have been no reported illnesses associated with eating this candy.